The HTC 10 may have been dealt with an idea of perfection, but the company has been struggling to get sales charts on fire even now. The Taiwanese company has had to deal with the HTC 10 being taken off the list by big networks like T-Mobile since they have been unable to sell the product. 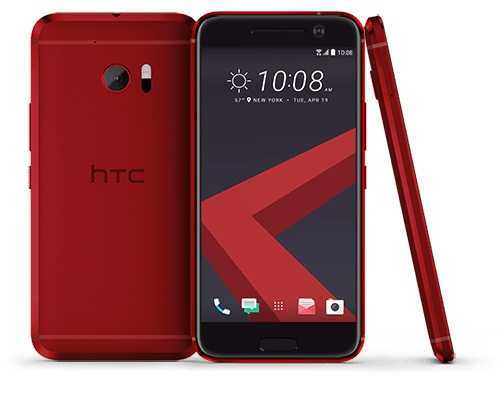 Now, the HTC 10 is made slightly more attractive since its price has been dropped by $100 and it will also be available in two new colors – Topaz Gold and Camellia Red. The phone has been available only in two colors up until now – Glacier silver and carbon grey. Even though the price cuts will be available only until the end of the month, it is a great time to buy the phone especially since it will ship with the same JBL headphones that are being promoted along with the device. JBL headphones worth around $200 are being provided along with the box, thus making the overall benefits come close to $300. The HTC 10 has been in stores since May 2016. The device comes with a 5.2 inch display with QHD resolution. One of the disadvantages of the HTC 10 is that it still relies on the Super LCD5 technology rather than the AMOLED technology for its display. The phone may have come out a few months ahead of devices like the Samsung Galaxy Note 7 but it is equally fast due to the use of the same snapdragon 820 processor. This processor is supported by a healthy 4 GB of RAM. The HTC 10 may not be able to compete with the new OnePlus 3 in terms of multitasking capabilities, but it is more than sufficient when multitasking does not involve more than one high-end game. The storage available as standard is of two types – 32 and 64 GB. Even if this later proves to be insufficient, users can always use microSD cards and increase the storage capacity since the device supports up to 256 GB through this method. HTC devices have always been out of the box when it comes to cameras. Once again, the HTC 10 uses a unique camera with 12-megapixel sensor and f/1.8 aperture. This brings out the best especially in night photography and while also trying to capture bokeh effects. The HTC 10 is one of the few high-end devices to use Quick Charge 3.0 version of fast charging. It didn’t sell well because no Qi wireless charging.